Presently, I am involved in a collaborative, interdisciplinary project to study the glacial history in northwest Greenland from marine and terrestrial archives. 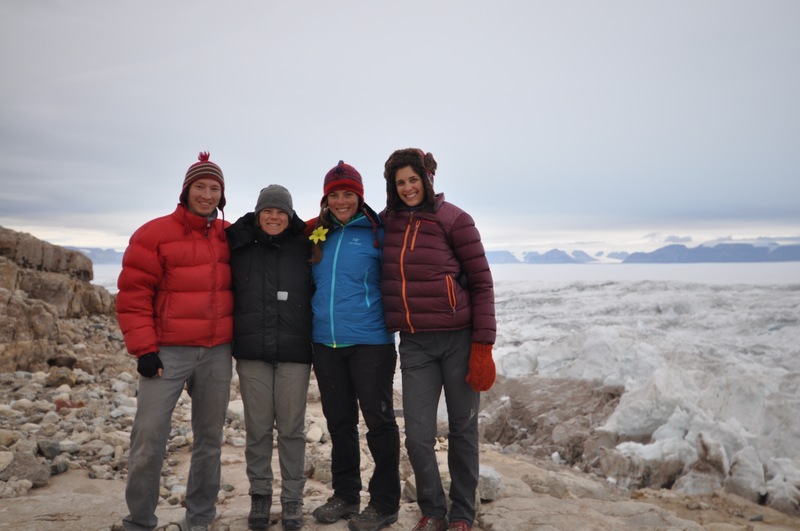 The project will provide a detailed land and ocean based reconstruction of the modern and historical processes that control the mass balance of Petermann Glacier, a major outlet glacier in north Greenland that is controlled primarily by ice-ocean interactions. The objective of the project is to further develop our understanding of the processes that exist in the ocean (e.g. temperature, salinity, circulation) that affect the distribution of ice on Greenland. Because Petermann Glacier is an outlet glacier that has its base below sea level, it makes for an excellent test case for predicting the future behavior of other ocean terminating glaciers in the Arctic and Antarctic in the coming century. 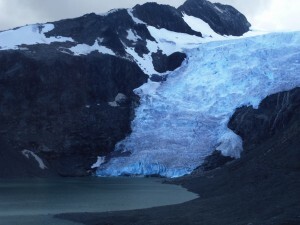 Glaciers are intrinsically linked to climate, and small alpine glaciers are particularly sensitive to climate perturbations and are unique amongst other climate archives because they record high elevation changes typically not widely represented by other climate proxies. In the high alpine regions it is well understood that glaciers were larger in the past few millennia based on exquisitely described and mapped glacial deposits just distal to present ice margins (Davis et al., 2009). These moraines demonstrate climate conditions that were once favorable for expanded ice positions, and are commonly associated with the so-called Little Ice Age (LIA) and/or ‘Neoglaciation’ of the late Holocene (Solomina et al., 2016). However, while the timing of the moraine construction is generally understood to have occurred in the last few millennia, the overall spatial pattern and precise timing of glaciation is still an open scientific question for many high alpine locations. Our group is working to better understand how alpine environments have responded to the last major climate event of the Holocene (i.e. the LIA), which provides a natural test case for understanding the sensitivity of alpine glaciers to past, and potentially, future climate changes.